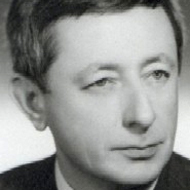 The composer and teacher Jiri Matys gained his first musical training with her father, who was organist, bandleader and private teacher of music. Matys entered the public musical life in the late forties in Brno, where he studied organ at the Conservatory of Francis Michalek (graduated in 1947), and then composition at the Janáček Academy of Music (with Jaroslav Kvapil, graduating in 1951). During his studies at the university he has done well for the state exam in piano. He worked as an assistant at the department of composition at the Janáček Academy of Music, Director of the People's School of Art at Brno-Královo Pole, he was also longtime professor at Brno Conservatory (1969 - 1977). For many years, he organized the activities of the Union of Czech Composers and Concert artists, many years devoted himself exclusively to composition (after his premature retiring in 1977 due to illness), from 1996 to 2004 was Professor of Dance Conservatory Brno. In his compositional output prevail chamber music works. In this area, he can present himself with dozens of successful works from a very large number of pieces for solo instruments, chamber music for traditional instrumnetal combinations (esp. six string quartets, brass quintets), to the instrumental groups of various instruments. There is remarkable ihis vocal production with many children's choirs. Another great chapter constitutes a separate instructive songs and compositions for advanced amateurs, whom the author devotes constant attention from the beginning of his creative career. Orchestral Works (Morning Music, Music for String Quartet and Orchestra, a song cycle with orchestra Written with Sadness into the Silence, Symphonic Overture, Music for Strings) are generally characterized by a sharp sense for expressive and dynamic differentiation. Many of his works won awards in domestic composers competitions. The composition Prelude and Variations for bar. accordion solo - won a prize at the International Composer's Competition SACEM/UPAC 1974 in Paris. Composer's style is shaped from the very beginning of the self and individual. The defining feature is Matysových songs poetizace musical expression, which is reflected in the statements aimed filozofičtěji larger orchestral units (eg, time urgency). Composers, even in purely instrumental works thrive audience accessible, but nepodbízivými means to capture the delicate poetry of modern cítěného musical beauty. Čtyři písně na lidové texty pro střední hlas a kl. Čtyři skladby pro 2 housle. Čtyři skladby pro trubku a cimbál. Show records 1 - 20 from 180.